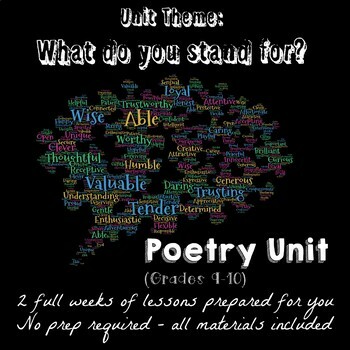 Looking for a meaningful and effective way to teach poetry? This unit is a fun way to learn and experiment with figurative language. It uses a mixture of contemporary songs and traditional poetry to teach students about themes and to help them learn the various forms of poetry. The creative, hands on activities also focus on the importance of having a voice and using it properly.